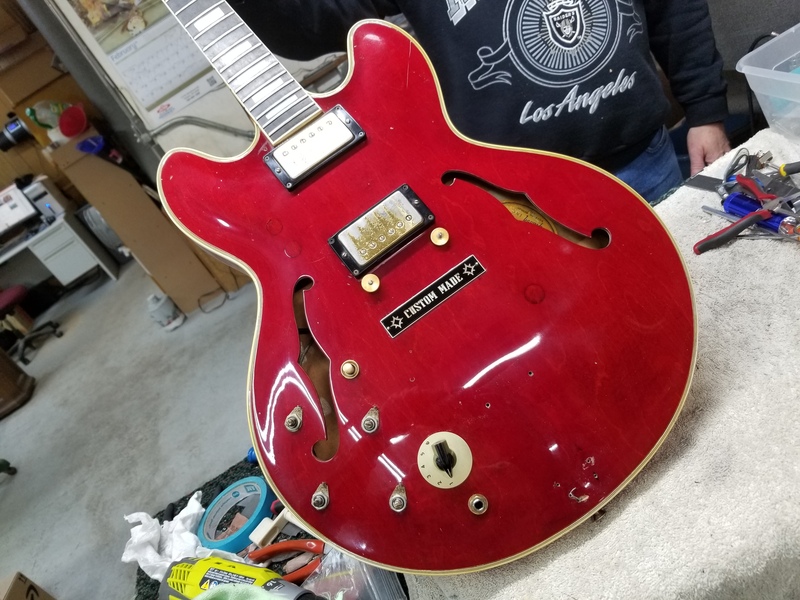 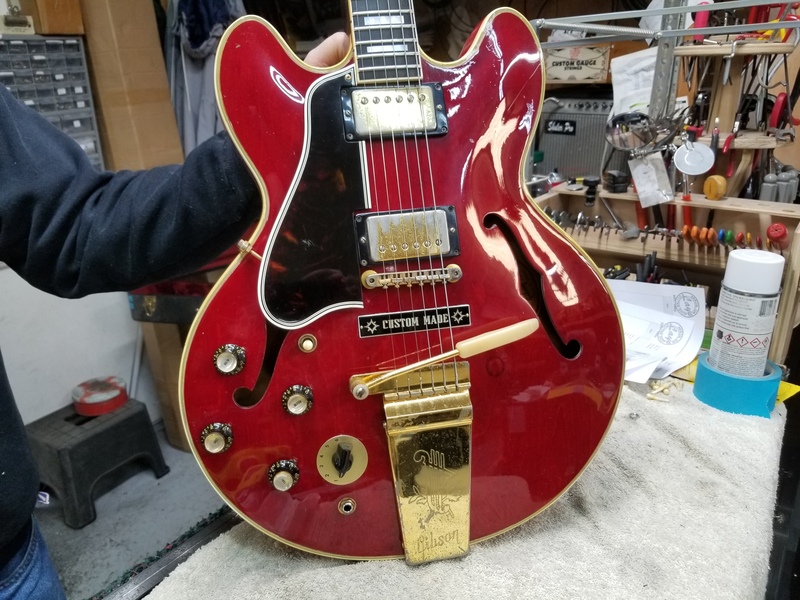 This beautiful 1964 Gibson ES355 lefty came in to the shop to get a few things done. 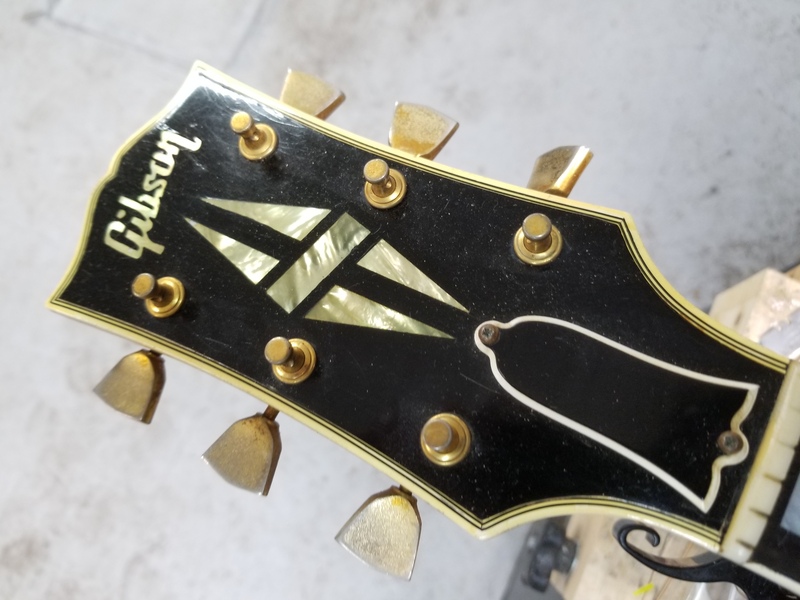 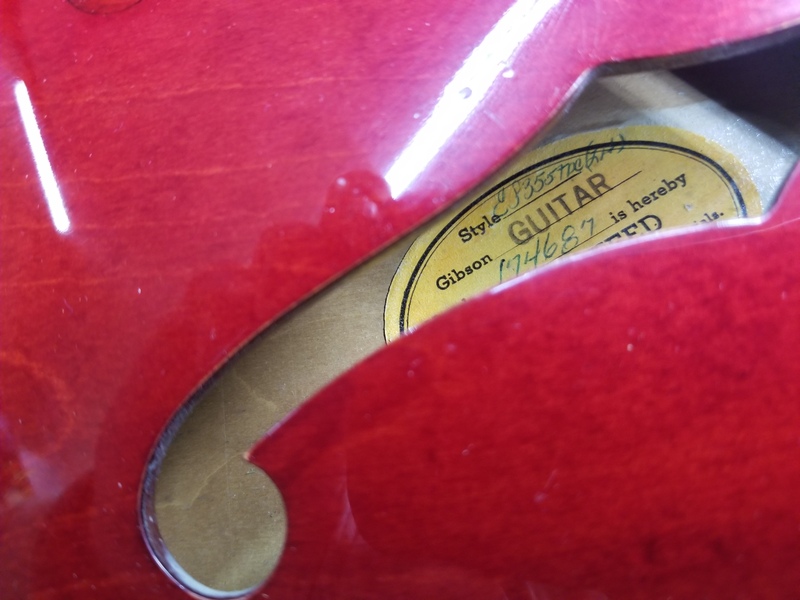 First Dan Gable plugged the holes that someone had drilled to try and convert it to a right handed guitar, then he touched up the finish a bit. 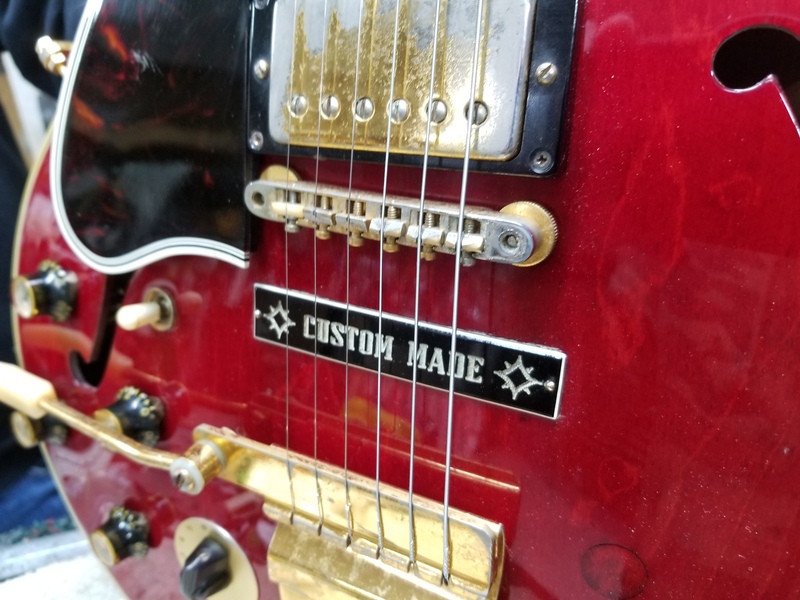 Then Don Fallon installed a new style varitone switch.